Compass Career Management Solutions focuses on “transitional support” in regards to human resources. Change is an on-going occurence. Today more than ever, our workforce is changing. More and more Baby Boomers will be retiring and yet few of the younger generation have been given the type of training needed to fill those exiting. A company/organization needs ongoing training in order to be efficient and more productive. Through our over 20+ years of business, our past projects have included many training aspects, that most aren’t even aware we have done. Therefore, Compass Career Management has LOTS of great experience and team members with extensive expertise. Training has been one of the top requests noted and expressed by a multitude of employees as a priority they desire from their employers. They want their employers to invest in them. 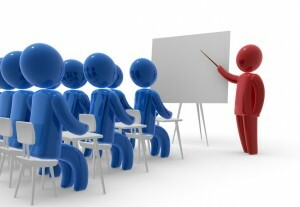 There are many types of training that can be offered, which could be very beneficial to any organization. We can help you with the following customizable training: On-Boarding, Team Building, Leadership Training, Customer Service Training, Supervisory/Management Training, Effective Communication, etc.